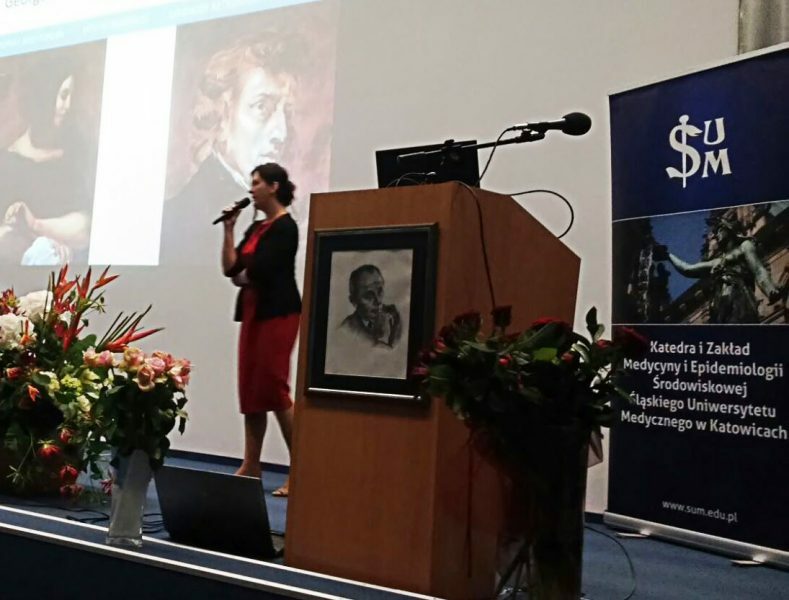 It was my pleasure to hold the lecture on the impact of migration on Frédéric Chopin‘s life and oeuvre at the international conference „Medical and Social Aspects of Trauma“ on June 4th 2016 in Katowice, gathering trauma and stress specialists from around the world. Many cordial thanks to the host of the conference prof. med. Jadwiga Josko-Ochojska, head of the Medical Sciences Association and her team for their trust in the success of this interdisciplinary conference and organising this event with love for details. Not only the conference but also sightseeing in Cracow with the guests from France and Canada/USA were the highlights of the June weekend in Poland. Wawel welcomed us with sunshine, the market square with the ocean of flowers and the park surrounding the old town, Planty with much appreciated shadow. We enjoyed exchanging stories on cross-cultural encounters, dealing with intercultural differences, relocation stress and trauma. Once again the power of an interdisciplinary approach became vivid beyond the official program. Photo, from left to the right: The organizers, Andrzej Ochojski and prof. med. Jadwiga Josko-Ochojska from Sląski Uniwersytet Medyczny, and presenters: PhD Marie-France Marin, from the Harvard Medical School, dr Marie-France Hirigoyen from Paris, specialising in trauma and bulling, PhD Shirley Fecteau from the Harvard Medical School and Joanna Sell.